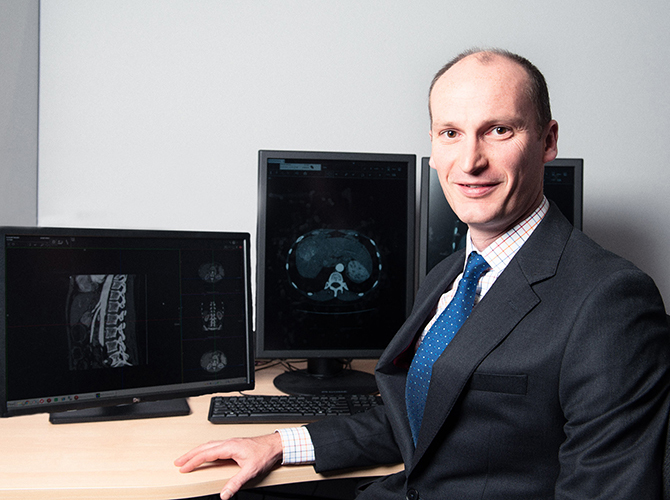 Dr Mark Goodwin is a specialist Interventional and Hepatobiliary radiologist. Interventional Radiology (IR) is an independent medical specialty, which uses minimally invasive techniques to diagnose and treat conditions in almost every organ system in the body. Dr Goodwin performs a wide range of procedures, with a particular focus on interventional oncology – the minimally invasive diagnosis and targeted treatment of cancer. He also performs a large number of procedures not related to cancer. Dr Goodwin has a particular interest and extensive experience in the diagnosis, staging and treatment of primary and secondary liver cancers. As well as his interventional work, Dr Goodwin is an acknowledged expert in advanced imaging of the liver, pancreas and biliary systems. Dr Goodwin trained in medicine at Oxford University in the UK, gaining a First. He gained his specialist qualification in Radiology in the UK in 2004. He then moved to Australia to undergo extensive subspecialty training in both Hepatobiliary and Interventional Radiology. 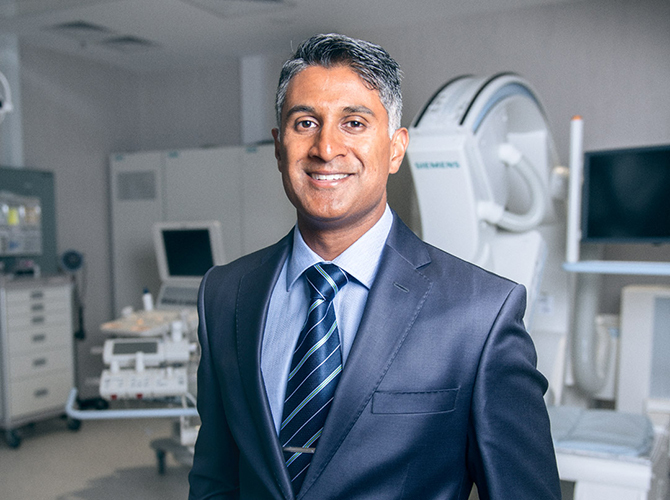 Since 2008 Dr Goodwin has been a Consultant Radiologist at Austin Health, working very closely with the Liver Transplant Unit and the Hepatobiliary Surgical Unit, as well as with other units. Dr Goodwin is an Executive member of the Abdominal Radiology Group of Australia & New Zealand. He is a Clinical Honorary Senior Lecturer at the University of Melbourne. He has published a number of articles in peer-reviewed journals and is regularly asked to speak at major radiology conferences. Dr Goodwin has an active interest in clinical research, and is also the Chairman of the Austin Radiology Research committee. Whilst Dr Goodwin aims to provide evidence-based care and procedures performed at the highest technical standard, he also believes strongly that good communication is a crucial part of quality medical care, and he will always be happy to discuss your case with you, your family or your doctors if there are any queries.